Does not include batteries. Please use the options (above ‘Add to Basket’) if you wish to include 3 x 18650 High-drain Batteries. 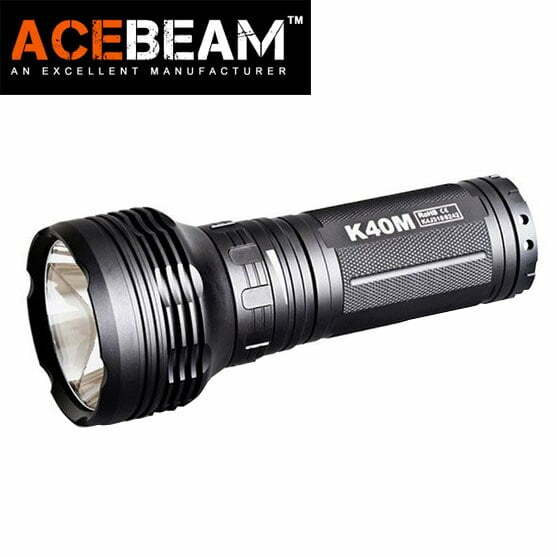 The ACEBEAM K40M Flashlight Torch 3000 lumens 5000K. 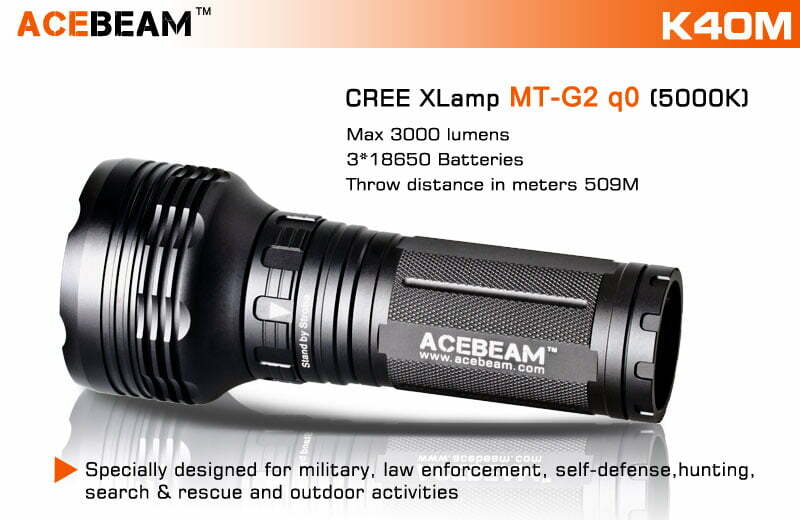 Employs the new single CREE MT G2 Q0 LED emitter; supplies 3000 lumens and gives 500m beam distance! 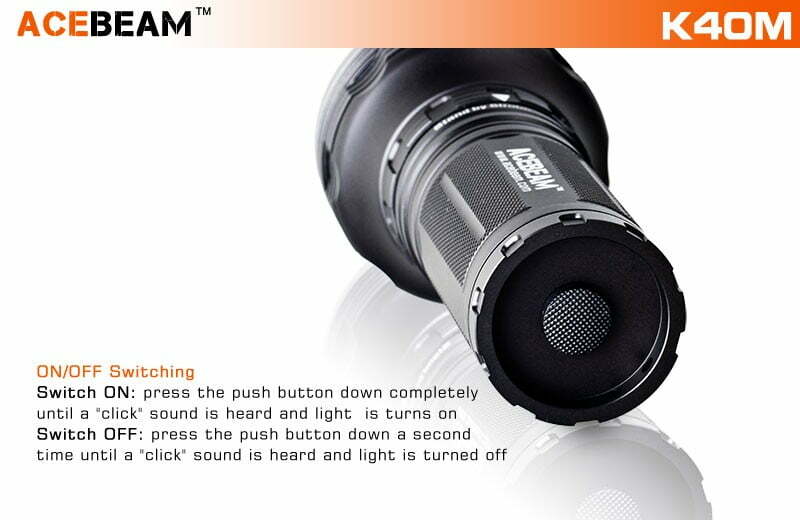 Simple design and convenient operation fit for any outdoor & search activities. Including; Camping; Fishing; Hunting; Search and Rescue; Rock Climbing; First Aid; Construction; Walking the dog… Anything at all! 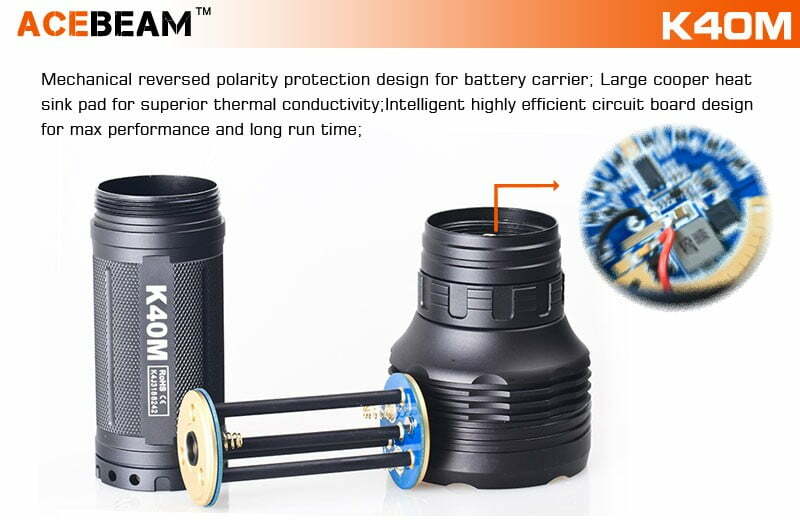 Please use the high capacity batteries which are at least 2600mAh, and make sure the 3 batteries come from the same brand, voltage, and capacity before filling into the battery carrier. 1. 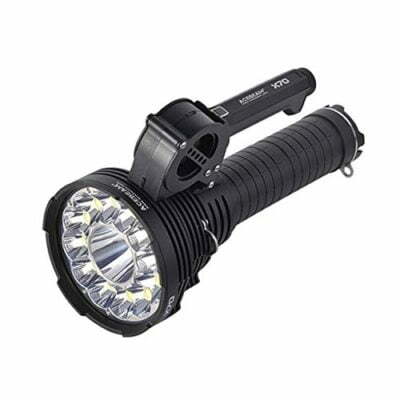 Don’t let children use the flashlight; keep it out of reach. 2. 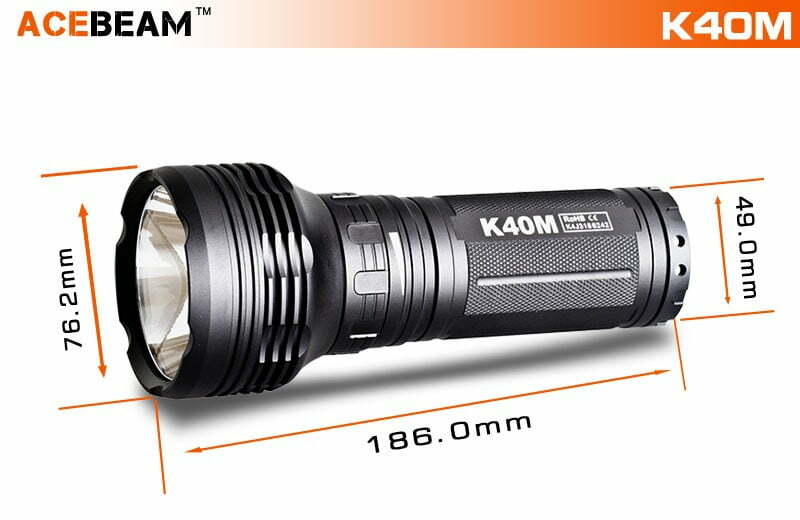 Never shine the light of the flashlight directly into animals or people’s eyes. 3. If the flashlight is stored-away or not used for a long time; please take out the batteries to avoid leakage from the batteries. 1. Use soft cloth to clean thread every 6 months; and use a small amount of silicone oil for lubrication. 2. Don’t use or allow lubricating oil refined from petroleum to contact the waterproof O-ring; it will cause damage to the O-Ring. 3. In case of contact with corrosive liquid, please clean as quickly as possible; and and dry it for use. 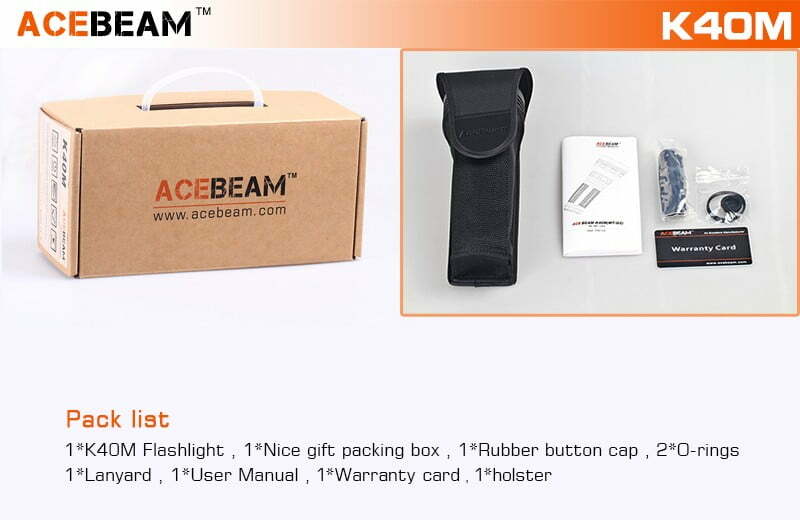 The detailed rules are applicable to the flashlights and accessory products produced by Acebeam. 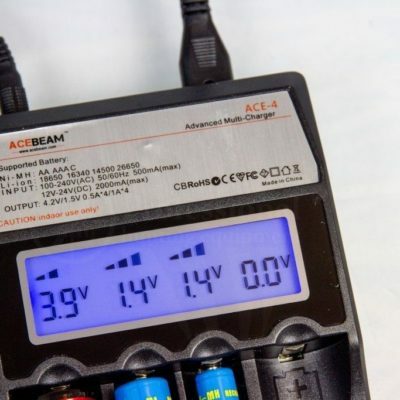 The customers who buy Acebeam products through formal channels can enjoy the free warranty or limited warranty after-service provided by our company. The product failure or damage is caused by the user or dropped; or the product is repaired or changed without authorisation. 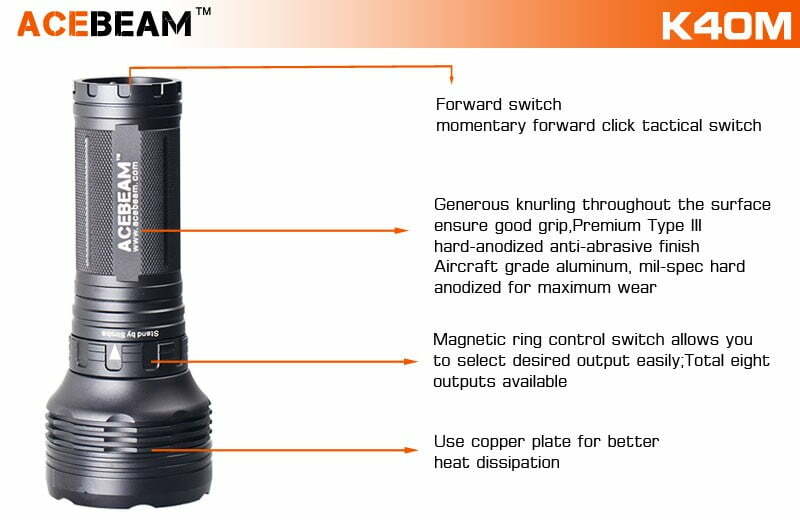 Product failure or damage is caused by misuse or improper storage; safeguard; maintenance; or operation. 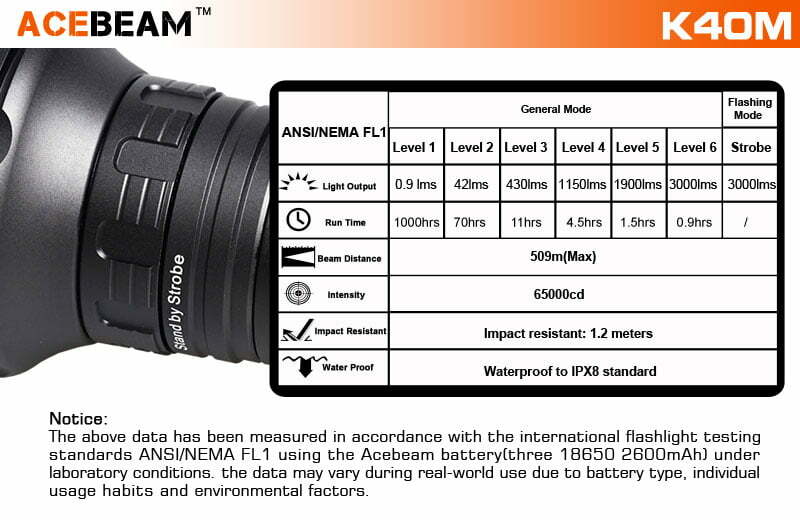 Flashlight damage that is caused by battery leakage. 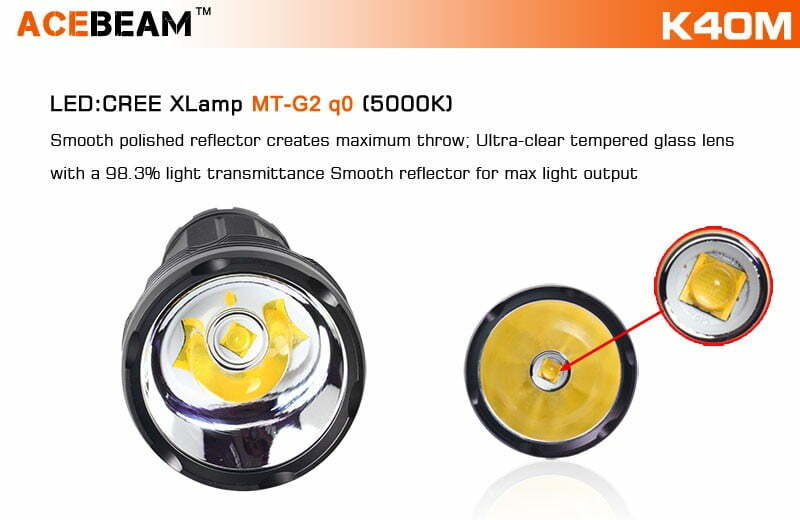 Other fault or damage caused by reasons irrelevant with Acebeam; (including components) quality. 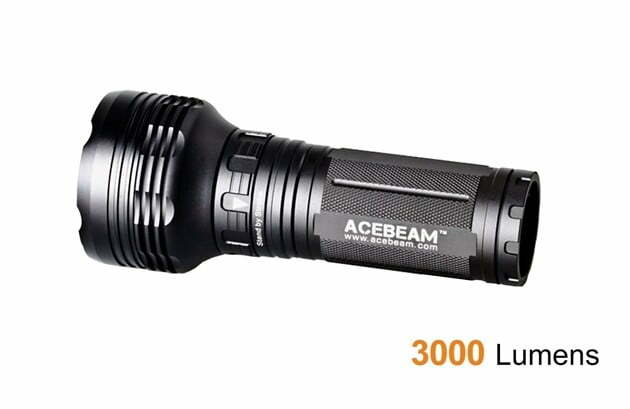 Free warranty period for 36 months: Within 36 months from the time the Acebeam flashlight is sold, and provided that the customer uses it accordance to specifications; if product performance and operation problems arise; we will provide our customers with accessories and maintenance service for free. The transportation expenses shall be paid by customers. Limited warranty for 10 years. After 36 months of free warranty period; Acebeam company will provide limited warranty for 10 years. Only charge the expenses for changing materials. 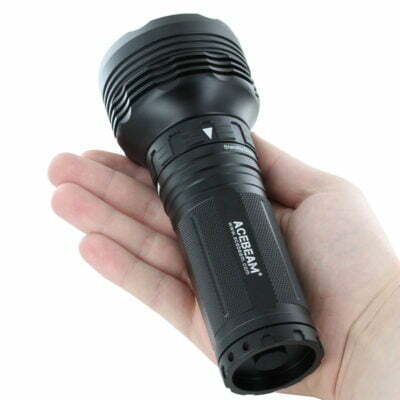 Acebeam will not charge any expenses for labour. The product maintenance and transportation expenses shall be paid by customers. In case of damage caused by the customer, we will provide you with proper maintenance service; and only charge the expenses for changing materials. We will not charge you any expenses for labour. But the customers shall pay expenses and shipping themselves.